Pimples on your scalp can be annoying, embarrassing and sometimes even painful, which are mostly caused by blocked follicles and oil glands. But there are ways to treat the pimples when they do form including natural remedies and medical options; furthermore, there are also plenty of ways to prevent it from happening again. To learn how to fix the problem, it helps to understand it causes first. The skin on your scalp is just like the skin on the rest of your body, with the exception of being covered by hair. Your scalp has sweat glands, hair follicles and oil glands. When a follicle or gland gets blocked, the result is a pimple on your scalp. Many causes might be behind these blocked glands and follicles, such as poor hygiene, not washing your hair often enough, excess intake of caffeine, stress changes, hormonal changes, reactions to some medications and even sweating. Using too much hair product can often lead to problems. Sometimes the shampoo you use can make pimples worse. Fortunately, there are many home remedies you can use to not only treat pimples, but to help prevent them from forming in the first place. These remedies have been proven through many years of trial and error; take your time in finding the one that works for you, then stick with it for a pimple-free scalp. Wash your hair on a regular basis with a mild shampoo, or one that contains salicylic acid. Keep your hair brushed and combed properly. If you find that your hair is very oily, seek our shampoos that cater to that problem. If you use a great deal of hair products, try cutting down on them to see if that makes a difference. One of the problems that leads to acne is an oily scalp; this can happen when you add conditioner to your scalp. Instead, focus on conditioning only the ends of your hair. Keep the conditioner at least one inch away from your scalp, and then rinse thoroughly. A thorough brushing can loosen up skin cells. If you have pimples, however, avoid brushing over them. You might make them worse, or spread the bacteria to other pores to create even more pimples.A good massage of the scalp will help loosen dead skin cells that could be clogging up the pores. It also allows better circulation to the area, and that can aid in healing. The antiseptic properties of tea tree oil make it a common addition to shampoos, but you can also use it undiluted if necessary. Simply add the oil to a cotton ball and rub it over the area where the acne has formed. Fenugreek is a herb that has been used for many years to help combat inflammation. Crush fenugreek leaves and mix them with water to form a paste. Smooth the paste over the area where the pimples form and leave it on for ten minutes, then rinse it away with warm water. 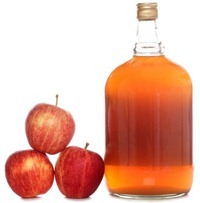 A dose of apple cider vinegar makes a great rinse that helps keep the follicles and glands clean. Use a few teaspoons of this rinse on your scalp when you are finished with your hair hygiene ritual. Your diet can play a large part in all of your body issues, including acne on the scalp. A diet rich in protein can help ensure that your skin makes enough keratin, which can help reduce pimples. Get plenty of fruits and veggies with each meal. Keep in mind that junk food, processed sugars and chocolate can add to the pimple woes, so have these in moderation. If you have severe issues with pimples on the scalp, there are many medications that can help. These are available over the counter, without a prescription. These medications often contain the same ingredients that you would use on any other pimple, but you might be able to find them formulated for use on your scalp. The old-fashioned standby to handle pimples, this is a common way to zap the zits. But use it on your scalp with caution as the peroxide can bleach your hair, leaving you with unsightly pale spots you might have to explain. The common ingredient in most acne medications, this helps exfoliate your skin and open up the pores. You can apply it with a Q-tip or cotton ball, or look for shampoos that contain it. Speaking of shampoos, a simple shampoo used to combat dandruff can help rid you of pimples on the scalp. Start out with more mild shampoos and progress to stronger ones if necessary. If none of these seem to help the problem of pimples on the scalp, speak with your doctor about options to get rid of this embarrassing problem. He or she might prescribe topical creams or oral medications that can ease the pain and discomfort of pimples, as well as help prevent them altogether.